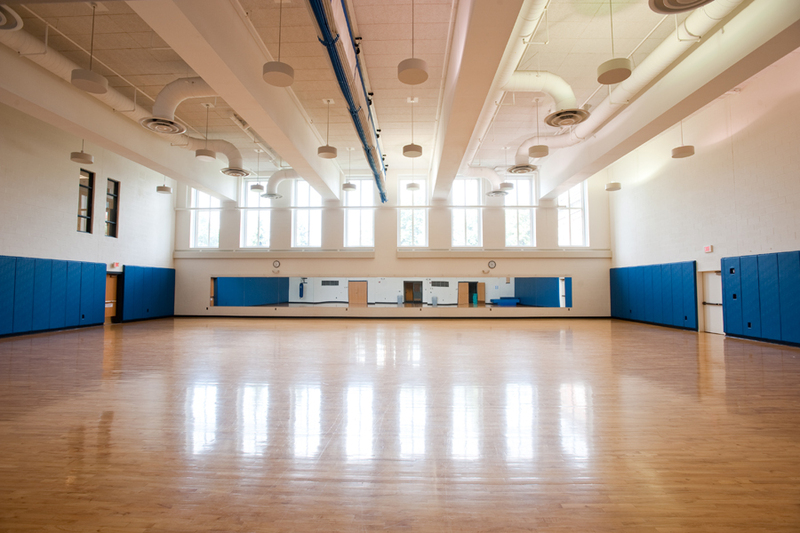 The Field House is a training facility for varsity athletics, intramural and club sports, and special events. Over 25 All-American representatives have competed in this space from the men's and women's indoor track teams. This includes Yaneve Fonge ’11, who holds a top-10 ranking for the furthest 20-lb weight throw in Division III history. The Field House, located in the Goergen Athletic Center, is also the host site for Relay for Life and the annual FIRST® LEGO® League Championship Tournament. 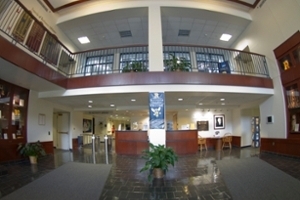 The Edmund A. Hajim Alumni Gymnasium, located within the Goergen Athletic Center, is named for trustee Edmund A. Hajim ’58, whose personal generosity and leadership as chairman of the campaign for the Goergen Athletic Center have helped to create a new place where mind, body, and Rochester spirit meet. The Leibner-Cooper Room is named in grateful recognition of the generous support and longtime devotion of Richard A. Leibner ’59 and Carole Cooper Leibner. 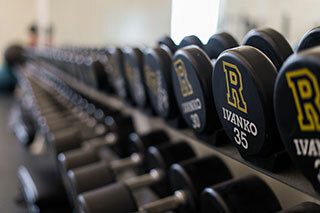 It is the venue for intramural fitness classes, club sports, dance practice, VSAAC blood drives, alumni events, and the Rochester Athletic Hall of Fame dinner, held each year during Meliora Weekend. Home of Yellowjackets volleyball, women's basketball, men's basketball, intramural sports, special events, and campus concerts, the Palestra was built in 1930 and is named in honor of Louis A. Alexander. The Palestra has been home to more than 30All-Americans representing the three sports that play there: men's and women's basketball and volleyball. Some notable speakers who have graced the spotlight in the Palestra were former first lady and Secretary of State Hillary Rodham Clinton, former Secretary of State Colin Powell, prominent journalists Fareed Zakaria and Robin Roberts, and famous poet Maya Angelou. 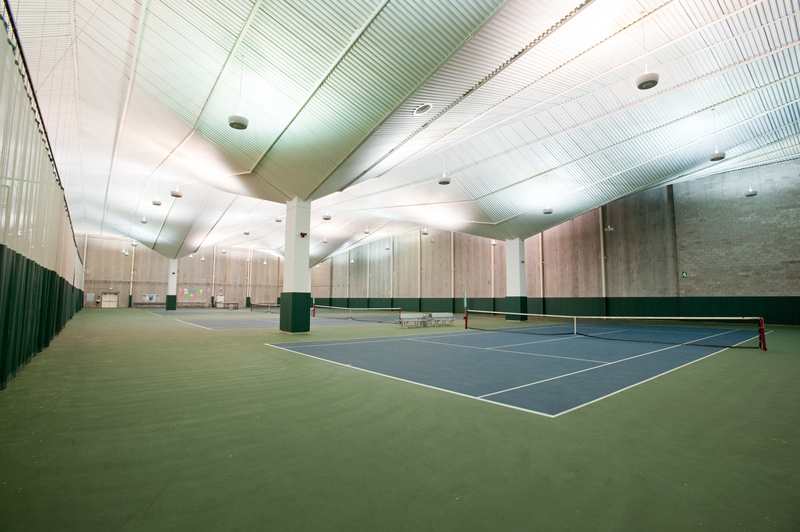 Home of Yellowjackets squash, intramural and club sports, special events, and open recreation, the Lyman Squash and Racquetball Center (located within the Goergen Athletic Center) is named for the former head coach of the University of Rochester tennis and squash teams, Peter R. Lyman. Yellowjacket squash has climbed to national status, earning a #1 ranking in College Squash during the 2016-17 season. The Lyman Squash and Racquetball Center has hosted matches against nationally recognized teams including Yale, Harvard, Trinity (Conn.), and many more. Our squash team has supplied some of the nation's best squash players, with the Yellowjackets earning over 40 All-American honors. 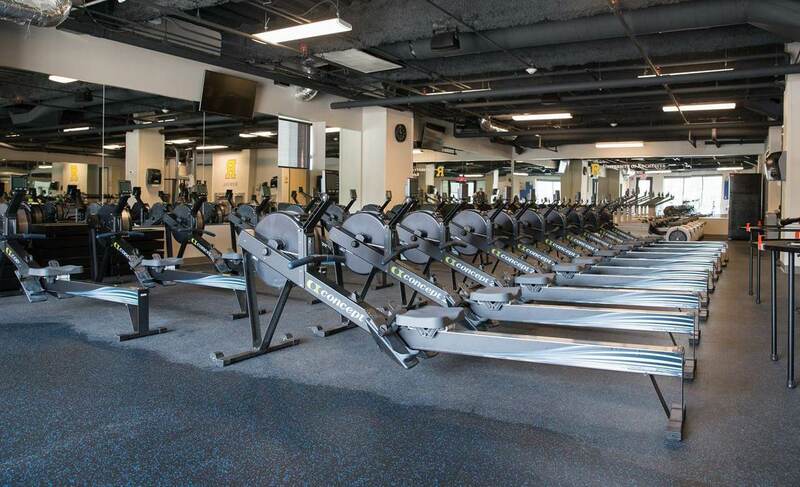 The University of Rochester’s Rowing Dry Land Training Center is the dry-land home of the Yellowjackets women’s varsity rowing program and men’s club team. Numerous CRCA, Liberty League, and ACRA all-academic team athletes, and CRCA All American, All-Liberty League and ACRA All-Regional Athletes have used this facility since its opening in January 2015. This 3,000-square-foot, state-of-the-art training center is housed on the river level of the Brooks Crossing Apartments (1500 S. Plymouth Ave. Rochester, NY 14611), a 12-story residential hall housing 170 University of Rochester students. This facility is dedicated in memory of Coach John Vitone, who gave so much to the student athletes during his 25 years at the University of Rochester. Rochester’s 23 varsity programs use the Vitone Varsity Weight Room to enhance team performance through strength training and overall fitness programs.